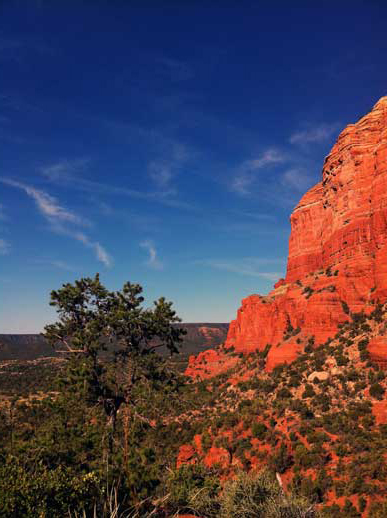 Sedona has long been a destination known for its spiritual energies. Whether you believe in this sort of thing or not, it’s hard not to be aware of spiritual alternatives when visiting the mystical mountain town. We have been through here a number of times, and every time something new is revealed to us. Our recent visit was no different. 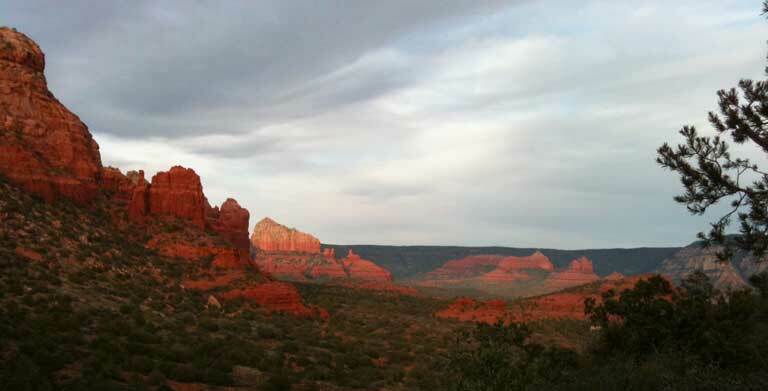 Here are some ways to indulge your spiritual curiosity when visiting Sedona. Sedona is known for its energy fields that radiate from the earth. We were curious some years ago when we were visiting, so decided to run a double blind experiment to see what we experienced. We visited a local store that sold Crystals and had them cleansed and charged with burning sagebrush. The crystals are meant to be held while meditating at the Vortex’s. We also bought a book that described what we should experience at each Vortex. We deliberately did not read it as we wanted to run our experiment. We chose 4 Vortex’s (easily identified when you are in Sedona) Boynton Canyon, Cathedral Rock, Airport Vortex and Bell Rock. Neither of us was proficient at meditation and had no previous input on what to expect. So off we hiked to Boynton Canyon one early summer morning, climbed up high to a rock cave and split up in two different areas. We sat for about an hour enjoying the view and soaking in the experience. We took mental notes to record when we returned to our hotel. We repeated this process at the three other Vortex’s over the next three days. We did not share with each other our experiences and impressions at all until after we returned from our hike on Day 4. Then we opened our Vortex book and read about Boynton Canyon and each of our notes. We were surprised at how all three reports of the feel of the energy were almost identical. Feelings varied from Vortex to Vortex with adjectives like positive, cold, uncomfortable, Female/Male, joyful etc. This was true for all four Vortexes down to the point that John and I both had relocated at Airport Vortex as the rocks we were sitting on seemed cold and the atmosphere unpleasant. Once we relocated we both enjoyed a really positive mental feeling. Only our notes revealed this similarity. So, when in Sedona, go get yourself a Crystal, have it cleansed with burning sagebrush and hike a Vortexes. The Airport Vortex is the easiest as you can drive right to it. Cathedral Rock was the most challenging hike, but if you are up to it, spectacular. During our most recent visit we drove out of town on a well graded dirt road following a sign to Palatki Ruins. The ruins are Native American stone cliff dwellings that dating back to A.D. 1125 and inhabited until around A.D.1300. They are impressive and beautiful. 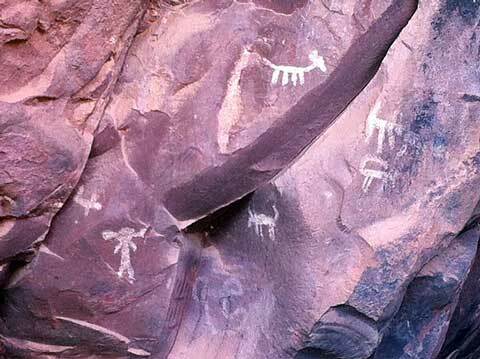 But if you are seeking the spiritual experience, walk to the Grotto Cave to view the variety of Petroglyphs. 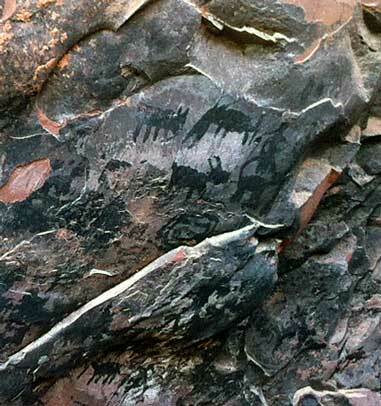 Various tribes have inhabited this valley for 8,000 years and many have left their artwork on the rock walls. The common thread is that many of these tribes believed that the cracks in the rock were passage ways to the next life. Consequently many of the art figurines are positioned next to large cracks. These people had a strong sense of afterlife based on their experience in the natural world. 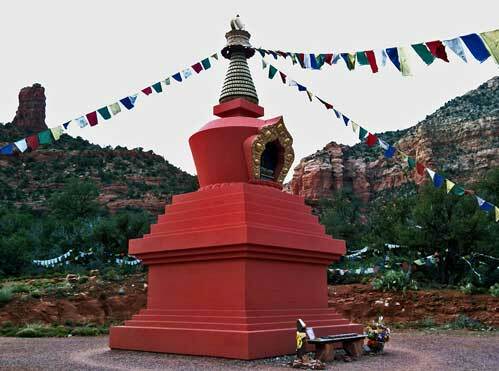 Amitabha Stupa and Peace Park– We truly stumbled upon this, while hiking the Thunder Mountain Road trailhead which is right behind a neighborhood, near Chimney Rock. We saw some Himalayan Prayer flags fluttering in the forest, and followed them until we stepped out of the Piñon Pine and Juniper forest to a level clearing and an amazing Buddhist Stupa Shrine. Stupas are considered one of oldest of man’s spiritual architecture, and the antiquity of this structure had been replicated in this mountain setting with great attention to detail. We enjoyed the 14 acres in solitude for about an hour when a group of pierced and Goth-like teenagers appeared. They spoke in hushed reserved tones despite their defiant outward appearance. One boy whispered, “Isn’t this soooo cool”. It is a treasure tucked into the red rock mountain side on private land that is open to the public. Individual offerings, treasures, flags and mementos dotted the hillside from previous pilgrims to this manmade energy center. A visit with a Shaman – I wanted to meet with a Shaman and have that experience, but there wasn’t time this visit. However, in doing our research we came across a very interesting video of a visit by Sarah Ferguson, Duchess of York who sought Shaman Clay Millers’ help in resolving some childhood traumas. It was an episode on the OWN Network and really is a very personal exploration by Sarah that she was willing to share with the world. Children of The Pleiades – On the fun side while we were cruising in our sailboat we came across a handful of sailors, both Men and Women who claimed to be the Children on the 7 Sister’s constellation The Pleiades. They all referenced Sedona as an energy center that they cherished, sort of like one of their few earth-based home bases. Shirley Maclaine writes about The Pleiades on her website. (See Resources below). 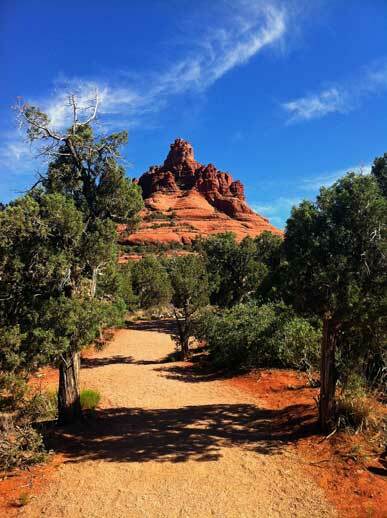 Energy Cultivation Options– Although we have not done the following, there are other ways to cultivate your spiritual curiosity in Sedona. Meditation, Yoga, Sky Gazing Night Walks, Bodywork, Sweat Lodges, Guided treks are all very available from multiple local practitioners. 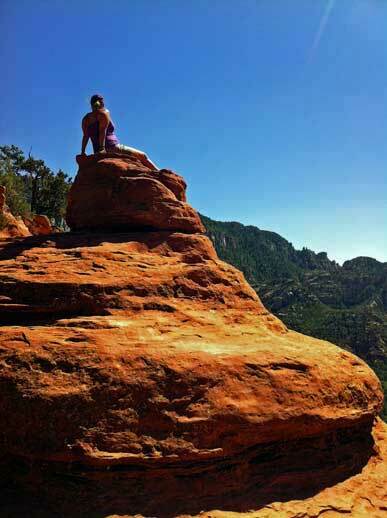 Many people come once to Sedona and are drawn back for continued learning and self- discovery. If nothing else it is fun to open your mind to see how others have cultivated their spirituality. If you go to Sedona, please tell us in the Comments below what you experienced. We’d love to hear all about it! I went food tripping when I went there last year. They definitely have great cafes and restaurants. I highly recommend these ones in this list – http://thecollectivesedona.com/home/sedona-restaurants/.